G/U long during the London session, the level 1.6445 was the low of the previous day and had also been tested a week prior. There was a stoprun made and the 5th candle confirmed up, the following candle (arrow) was my entry point. 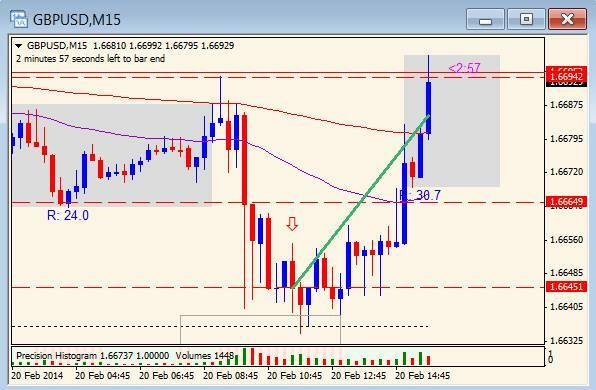 Moved stop to breakeven when NY session started.